After being rescued last night by a fishing vessel, Armel Le Cléac'h is currently en route to the Spanish coast he should join by Friday. 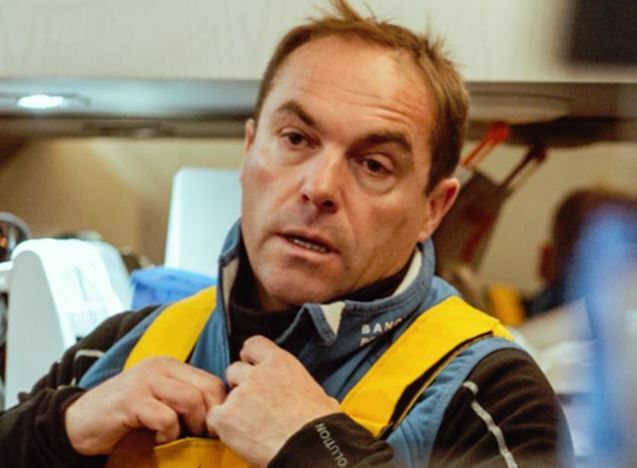 Ronan Lucas, director of the Team Banque Populaire who was able to talk with the skipper gives us his first information following the damage that led to the capsizing of the Maxi Banque Populaire IX. He is well, he is aboard the Spanish trawler who was able to recover yesterday, he is heading to the Spanish coast he should touch Friday. He is in a hurry to find his family. What were the conditions at sea at the time of the breakage? At the time of the break, we are where we wanted to be before the departure of Saint Malo. It was the strategy we had. We had set maximum sea and wind conditions that we have not exceeded. We did not take more risk because we made a stopover, by no means. We were in the forecast tempo we had planned. There was 30/35 knots of wind, 5 meters of sea, Armel mastered his subject perfectly, he was going out of this wind a little tough in the 3 to 4 hours of race that would follow, we had had little time before and everything was fine on board. Can you tell us the circumstances of the capsize? From what Armel explained to us, at the time of the capsizing, it was therefore 3 ris J3, the smallest wing that can be had on the maxi trimaran. He was therefore careful not to go too fast with the boat because the sea was 5 meters high and he did not want to take any particular risk. Suddenly, he heard a "crack", he saw the float leaving and the boat capsized after the loss of this float. that left and the boat capsized after the loss of this . How was the rescue operation? We learned yesterday afternoon that a Spanish trawler present in the area was going to divert to recover Armel. The latter arrived in the evening on the trimaran and they made the decision with Armel to carry out the rescue operation. Something that was done relatively quickly. Armel put his life raft in the water and got in it, the Spanish trawler threw a rope to bring it back and hoisted it on board. It was an operation that was carried out smoothly, Armel called us around 22:00 to tell us that the operation was over and everything was fine. How does the recovery operation of the boat take place? After the rescue of Armel which was really the priority, we are now dedicated to the recovery of the boat. A team from the Banque Populaire team went to the Azores to join another team chartered by the insurers of Maxi Banque Populaire IX. We hope to be able to sail in 24 hours to reach the position of the boat and be able to tow it to the coast.